Emma Baldry (@emmabaldry) is a secondary supply/substitute teacher in Merseyside, England. 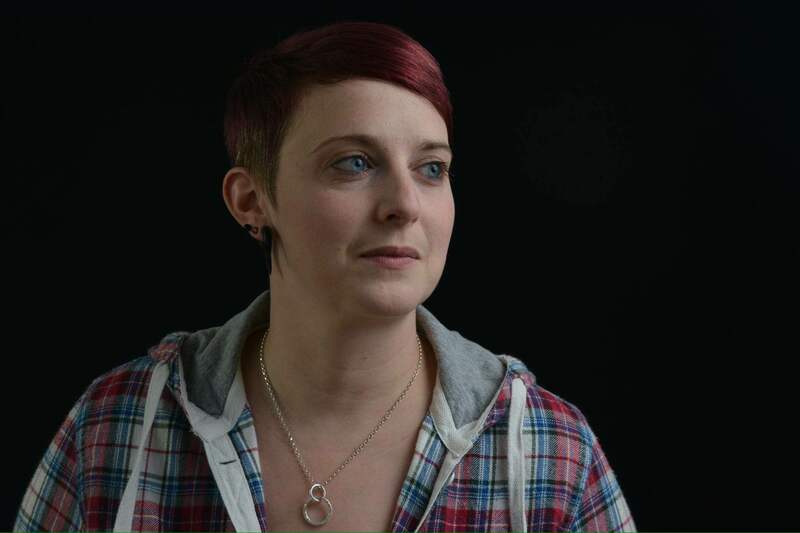 She is co-ordinating an education area at this year’s Liverpool Pride, predominantly aimed at families and children to educate them about the LGBT community. 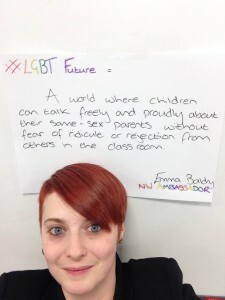 Emma is running a Liverpool Pride competition for the schools in Merseyside, with the aim of increasing LGBT visibility (for students and teachers) in primary and secondary schools. Being the only openly ‘out’ gay member of staff at a school in North Yorkshire was just the norm’ for me and my pupils and colleagues, aside from the yearly ‘outing’ on arrival of the new year 7 cohort each September! However, it wasn’t always like that. This time I was confidently ‘out’ with my friends and colleagues and was, in the summer of 2009, having a civil partnership ceremony to my partner and taking on her surname. There lay the predicament. Baldry, I was Miller! I was going to be taking on her surname which meant that the pupils were going to have a new name to learn! On my return that September I arrived to a new name badge and proceeded to introduce myself to new and old pupils as Mrs Baldry. Many of the older pupils started to ask what my husband was called and it was at this that I had a choice to make – do I lie or do I tell the truth. I chose the latter. I had had enough of pretending and now I wanted to be true to myself. I responded proudly “She’s called Joanne”. For the first few months it was at times hard with pupils writing offensive messages for me to find on pieces of paper in the classroom and sniggering down the corridors but issues were dealt with by SLT and, although low level comments were still being made up until the day I left, they were less prominent and pupils would often be the first to stick up for what was right! In 2011 Stonewall offered my school a visit from Lance Corporal James Wharton, as was, to do an assembly about being ‘out’ in the army and being a garrison school I jumped at this opportunity. 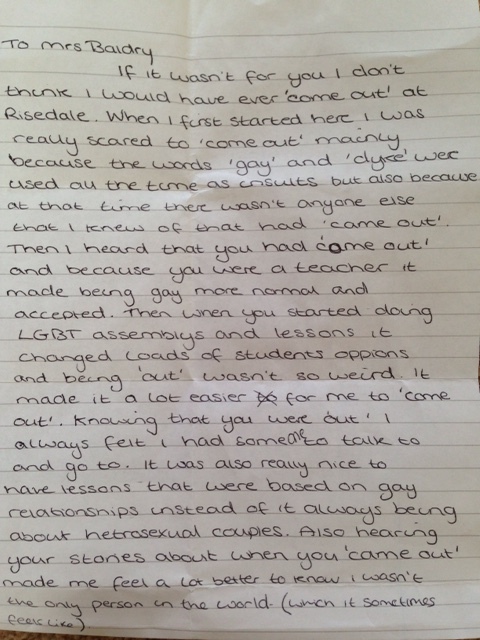 With this came my 3rd big outing as, in front of the whole school in the assembly hall, I introduced James as being gay – just like me. From this moment on I have helped to Champion the work of Diversity Role Models and Stonewall within schools across the North and this has helped them to move forward to tackle homophobic bullying and help the pupils become more accepting of one another. This has led to several pupils feeling safe enough to be open and ‘out’ themselves. 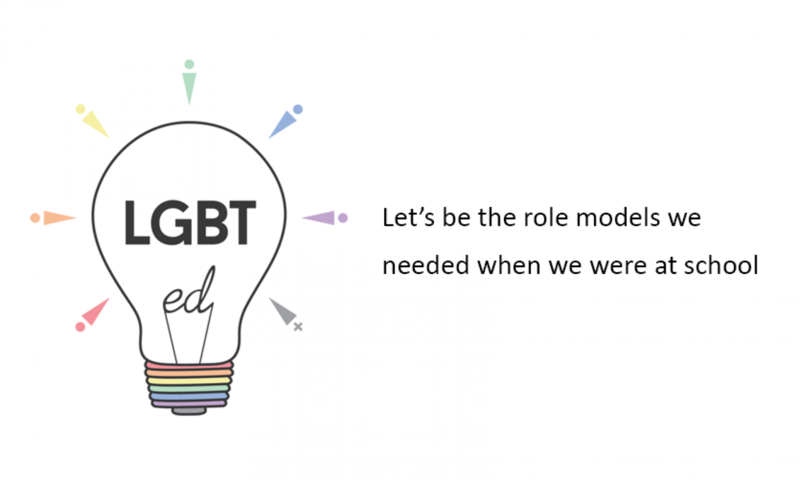 I feel, as in all schools, there is still more that needs to be done but I am now happy to be the ‘OUT’ role model for the pupils, and staff, alike that I see come through the school gates each day in whatever school I am working in.